Delta Sound rent sound equipment to the music industry, and were using acetate labels to identify their products, the rental information was printed onto the label using poor quality thermal ribbons but the print was rubbing off when equipment was being handled. Delta gave us some samples of their label and our technicians examined the fault, identifying that they were using the wrong thermal ribbon for the material. We recommended a wax resin ribbon alternative, which when tested worked very well and solved the problem and now supply ribbons to them on a regular basis. With a combined experience in the labelling industry exceeding 100 years, our team quickly resolved the problem Delta were facing. This is a typical result for the team and one I am very proud of. Thermal ribbons come in three main types, Wax, Wax-Resin and Resin. The performance of the ribbon improves respectively with wax performing best on papers. Wax-Resin thermal ribbons are better on papers where the print quality must be higher and you might need better adhesion. Resin thermal ribbons give the highest standard of finish but are also the only type of ribbon that will work on plasticised or manmade material substrates such as polypropylenes or acetate as in this case. Thermal ribbons are not always black and it is possible to obtain ribbons in a range of colours to give different outcomes. 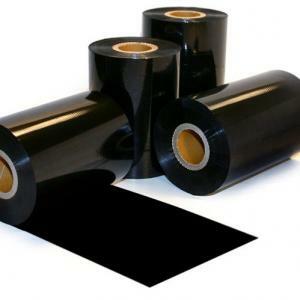 We have supplied thermal ribbon of all sorts to many customers. The colour options available allow for flexible labelling outside of repetitive and boring black. It allows companies to stamp a little more individuality on their labels if they can overprint in white or blue or red for example and we can supply these colours quite eaisul for our customers. 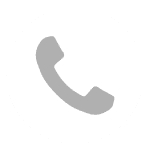 To find out more about the thermal ribbons you might need, call us on 01332 864895 or use the contact form below.